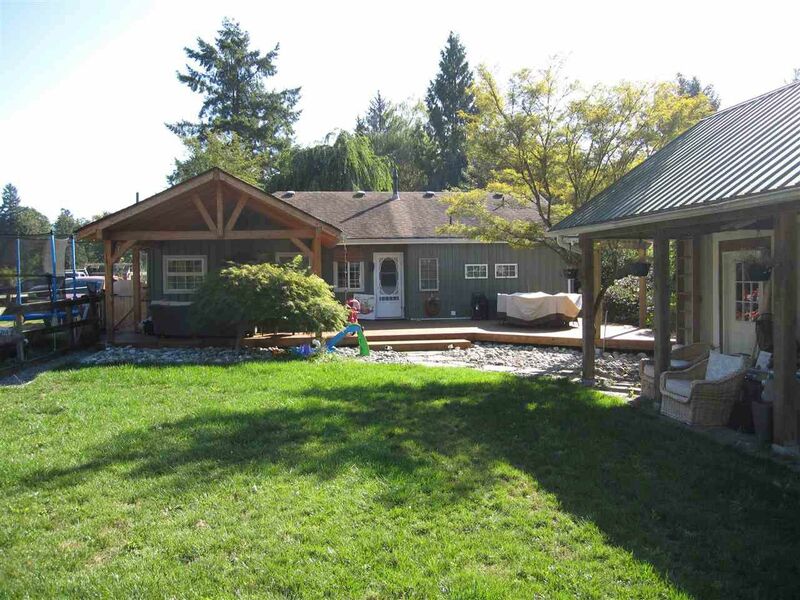 2 1/2 acre farm with the best 1200 sq ft, 3 bedroom, 2 full bath rancher in Maple Ridge. Bring the outdoors in with a 800 sq ft deck, 300 sq ft of which is covered. Plus 1500 sq ft barn with 5 box stalls, and tack room. We're not finished ... above the barn is a deluxe 2 bedroom, 2 full bath, fully self contained 980 sq ft suite. ('Above' room sizes are for suite above barn) Rented for $960.00/month and tenants want to stay. This one's a perfect combination. Hurry!